Work and Travel is an exciting program that allows students to ability to work in the international level during their main universities break. Participants are introduced to international culture by living and working in the country where they go up to 4 months. Students have the chance to experience indifferent environment, culture, life and society. 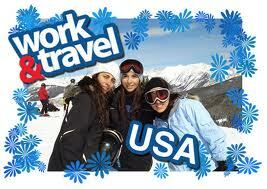 Work & Travel selects only the most rigorously screened, English-proficient and hard-working students. Participants are accepted on the basis of personality, attitude and adaptability. We use an extensive application, conduct personal interviews and make the information we learn available to employers during the selection process. Students attend an orientation session in their home country before departure and in host country upon arrival. Where they are given information on realistic living and working conditions. Full-support is provided to participants throughout the entire season. This program is designed to achieve the educational objectives of international exchange by directly involving students in the daily life of the country during their main university break. It allows the participants to earn modest money and, at the same time, offset some thing living and travel expenses during stay. You need to be aware that there will be many things to adjust to while in foreign Country. You need to adapt to a new environment, communicate with foreigners, and learn to live independently while being far from home. You will be doing all this while maintaining a work schedule. Please, remember that the goal of the YEC Work & Travel program is to provide a cultural exchange. The knowledge and experiences that you gain from this program will be the result of your own efforts and enthusiasm.